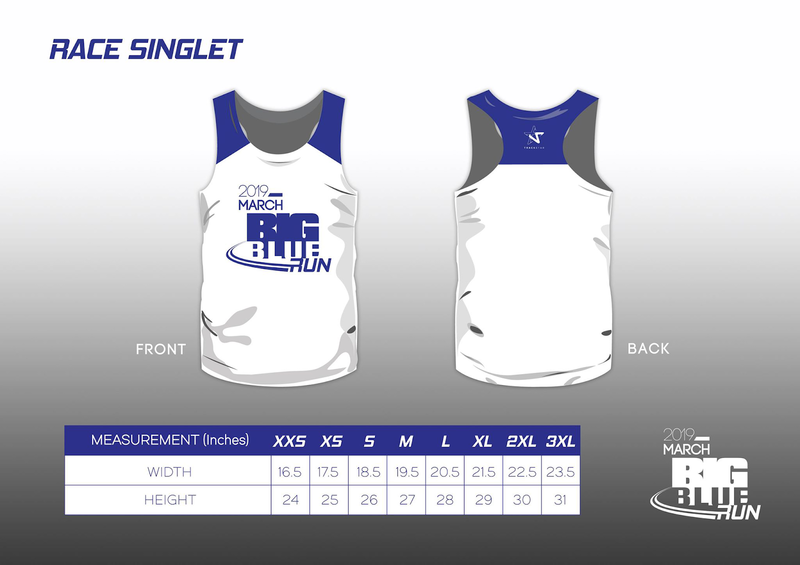 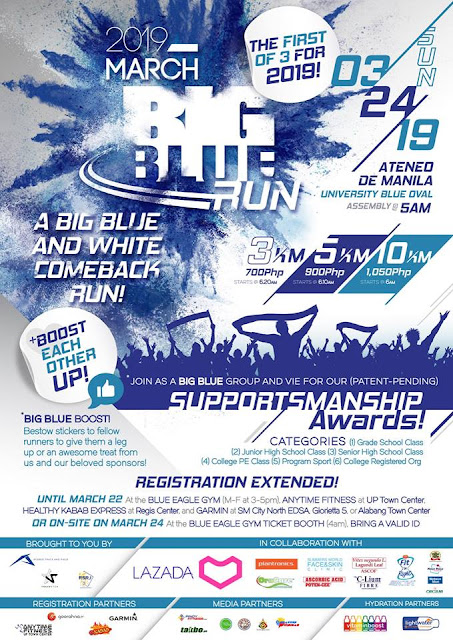 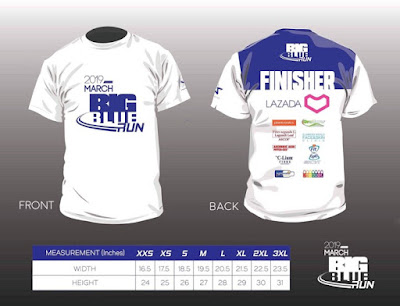 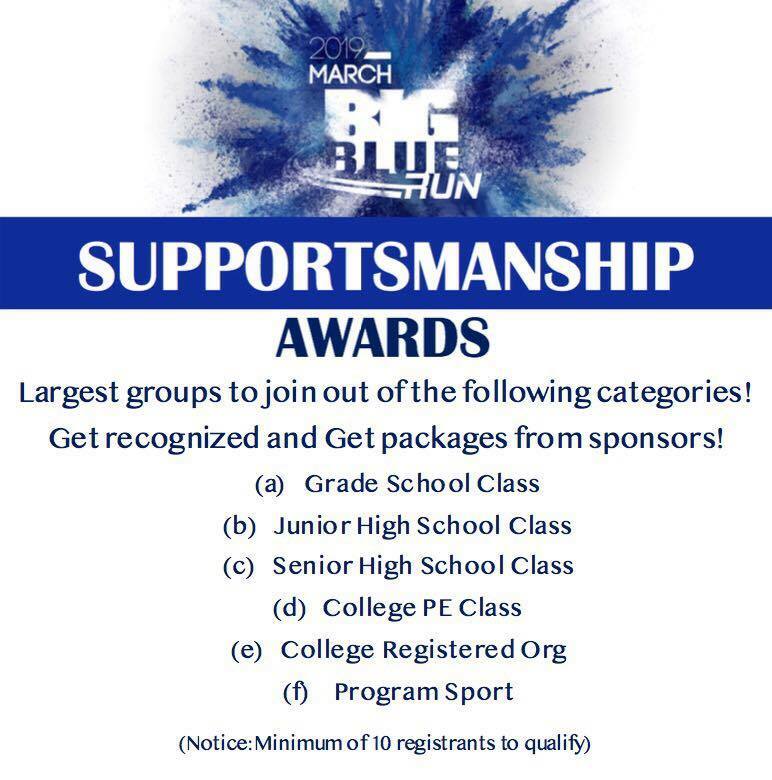 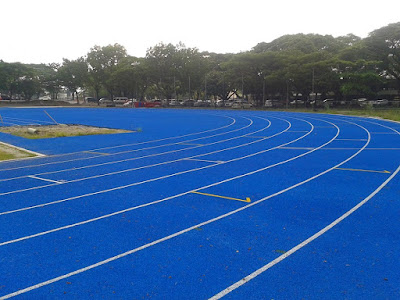 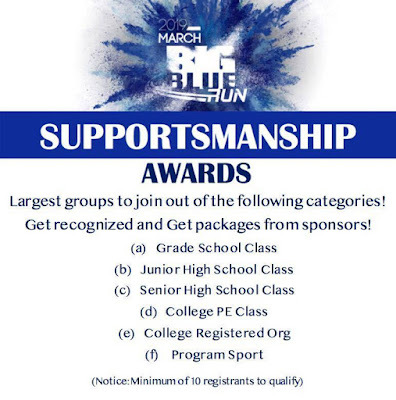 The Ateneo Athletics Program, in cooperation with Trackstar Sport and RSRJ Events Management, is bringing back the campus’ very own and eagerly awaited BIG BLUE RUN, which is happening on March 24, 2019 at Ateneo de Manila University Blue Oval. 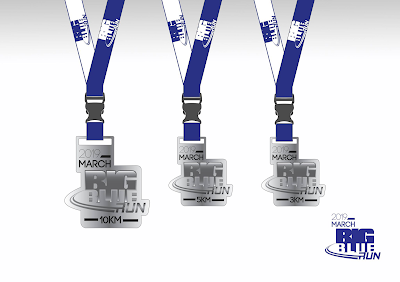 Last seen in 2013, this revitalized run will be the first in a three-leg series scheduled for this year and will feature some fun additions to your usual race format. 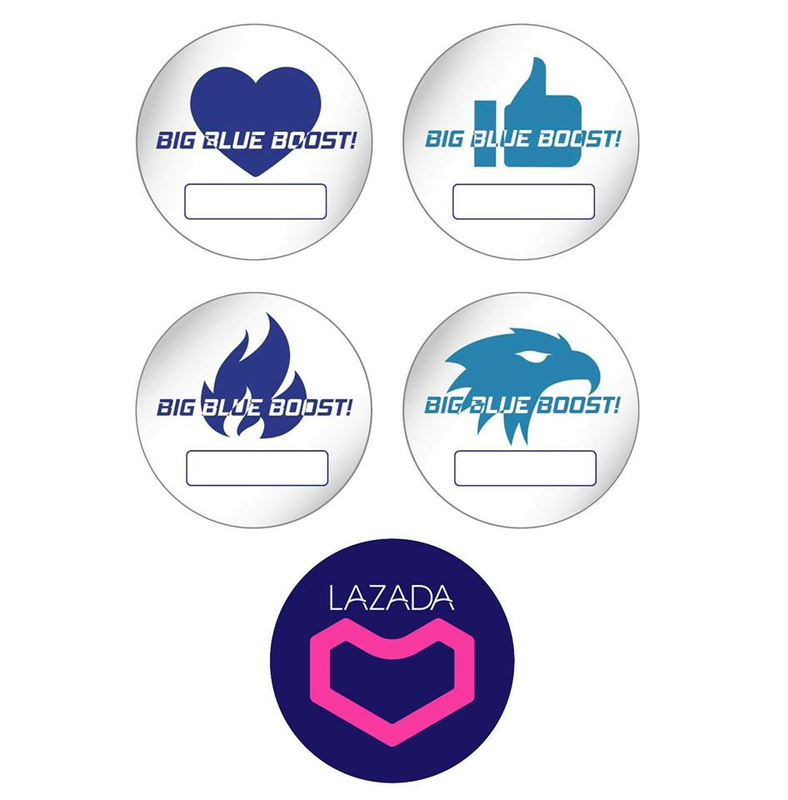 In the spirit of community and camaraderie, participants can slap on “boosting stickers” to their fellow runners to give them a special perk during the run or awesome sponsorship goodies. 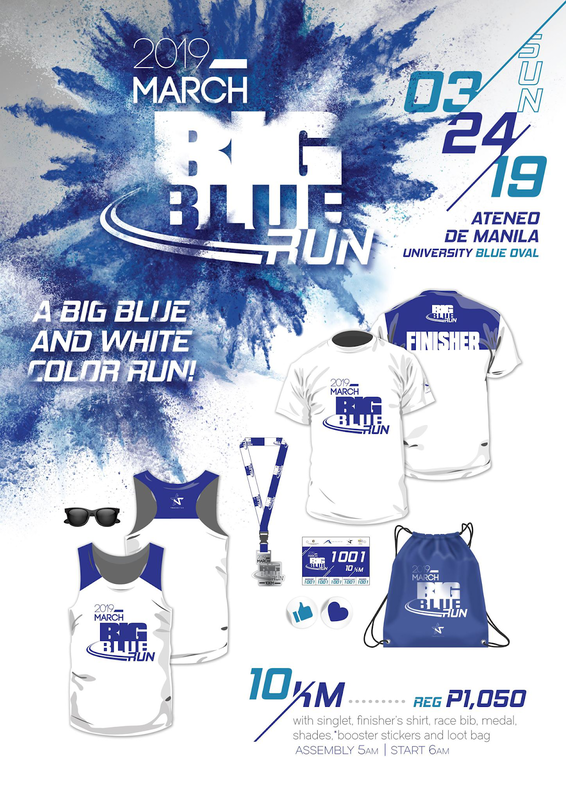 Participants can register for the 3k, 5k, or 10k course. Proceeds from this run will pour into supporting the Ateneo Athletics Program and its dedicated student athletes. 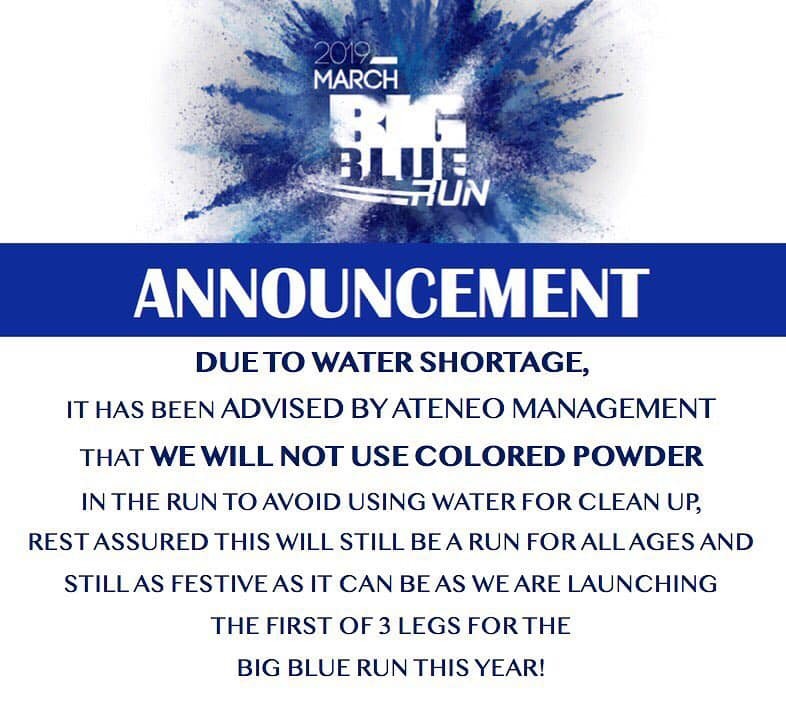 Due to the shortage of water, the Big Blue Run organizers have been advised by Ateneo Management to refrain from using colored powder during the run. 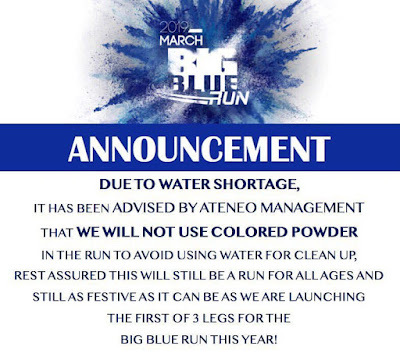 This is to avoid the use of additional water to clean up the powder after the run. 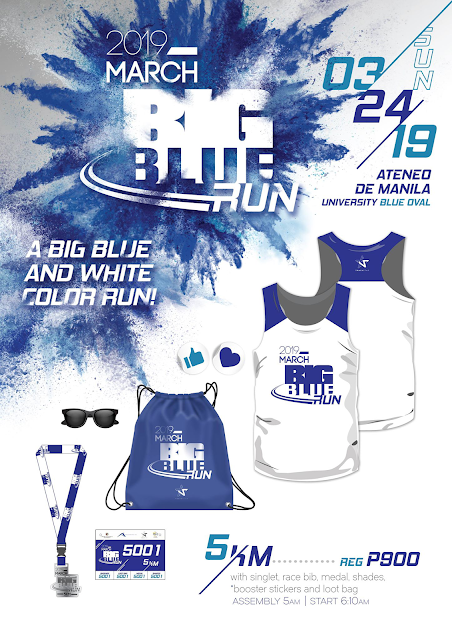 You may all still claim your shades before the run but we will no longer be allowed to make this a color run. Rest assured the run will still be a very festive and fun run for everyone! 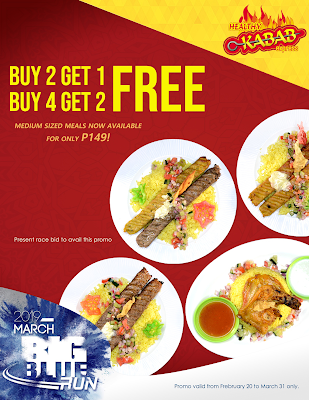 (1) Online at www.gorahna.com extended up to March 18, 2019. 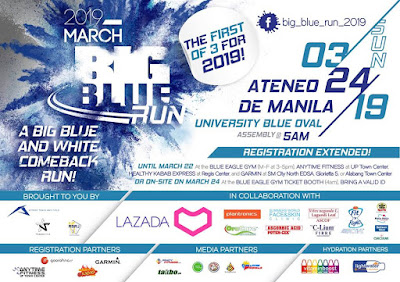 (2) In School at the Ateneo Blue Eagle Gym from 3-5pm M-F and 8-11AM on Sat & at Gonzaga Hall in the College Campus 9-3pm M-F. All until March 11, 2019.